Manufacturer Part Number : 46755. Manufacturer : FEBI. Other Part Number : ~. Why this exclusivity?. Colour: Black. We apologise in advance for any inconvenience caused. Key Points. Functions: Wipe-Wash / MFD. Why this exclusivity?. Colour: Black. We apologise in advance for any inconvenience caused. 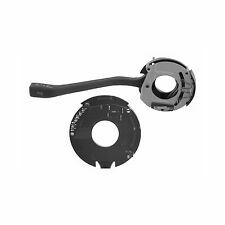 With On-Board Comp Febi Steering Column Wiper Stalk Switch OE Quality. Why this exclusivity?. Colour: Black. We apologise in advance for any inconvenience caused. Material: Plastic. Why this exclusivity?. Switch Combined Functions: With Indicator Function / With Headlight Flasher / With High Beam Function / With Park Light Function. Key Points. We apologise in advance for any inconvenience caused. 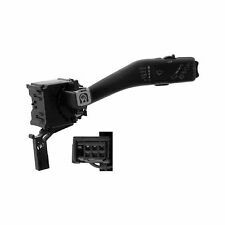 With On-Board Comp Febi Steering Column Wiper Stalk Switch OE Quality. Why this exclusivity?. Colour: Black. We apologise in advance for any inconvenience caused. Why this exclusivity?. Switch Combined Functions: With Wipe-Wash Function / With Rear Wipe-Wash Function / With Rear Wiper Function / With Wipe Interval Function / With Wiper Function. Key Points. We apologise in advance for any inconvenience caused. Audi A8 (1995-2002). Audi A6 (1994-1997). Door lock knobs for Audi. Door lock knobs set (4 Pieces). Audi 80 (1987-1994). Audi 90 (1987-1991). Audi 100 (1990-1994). AUDI S6 4B 4.2 Hazard Switch 99 to 05 Febi. Function Hazard Light Switch. Colour Black. AUDI A6 Avant (4B5, C5) S6 quattro Estate Petrol 09/1999 01/2005 AWD 40 340 250. AUDI A6 (4B2, C5) S6 quattro Saloon Petrol 09/1999 01/2005 AWD 40 340 250. Function Hazard Light Switch. Colour Black. AUDI A6 Avant (4B5, C5) RS6 plus quattro Estate Petrol 04/2004 01/2005 AWD 40 480 353. AUDI A6 (4B2, C5) 2.5 TDI Saloon Diesel 08/2001 01/2005 FWD 24 155 114. AUDI 4B0941509C, 4B0941509CB98, 4B0941509D, 4B0941509D5PR, 4B0941509DB98, 4B0941509K, 4B0941509KB98. Function Hazard Light Switch. Colour Black. AUDI A6 (4B2, C5) 2.4 quattro Saloon Petrol 08/2001 01/2005 AWD 30 170 125. AUDI 4B0941509C, 4B0941509CB98, 4B0941509D, 4B0941509D5PR, 4B0941509DB98, 4B0941509K, 4B0941509KB98. Function Hazard Light Switch. Colour Black. AUDI A6 (4B2, C5) 2.5 TDI Saloon Diesel 08/2001 01/2005 FWD 24 155 114. AUDI RS6 4B 4.2 Hazard Switch 02 to 05 Febi. Function Hazard Light Switch. AUDI A6 Avant (4B5, C5) RS6 plus quattro Estate Petrol 04/2004 01/2005 AWD 40 480 353. AUDI A6 Avant (4B5, C5) RS6 quattro Estate Petrol 07/2002 01/2005 AWD 40 450 331.